Here comes our newly arrived Thai Massage student to study with a well known master in Thailand. To his shock and dismay, the teacher keeps on smoking one cigarette after the other while he is teaching. He goes to another famous healer/teacher and finds out that he does not smoke, but his personal life is a mess, and he has lots of girlfriend trouble. Again another well known Thai Massage teacher has an overgrown ego. These are not examples which I just made up, but fifteen years ago I was this newly arrived Thai massage student in Thailand, and I did study with those teachers. Life is seldom how we think it should be. Our ideal perception of a healer is a calm, spiritual, modest, kind person, ideally a vegetarian, meditator, non drinker and non smoker. A saint in other words. Should the healing skills of the master not translate into every part of his life? Shouldn’t there be a congruency between all aspects of his life? Logic tells us that it should be so, but life tells us otherwise. The first time I ever saw the chain smoking Thai Massage master, he took one look at me and pointed out that I had a problem with my ankle. He seemed to have X-ray vision since I had just walked into the door. He was absolutely correct since I had sprained my ankle badly several months before and, although I was walking normally, the ankle kept causing me a lot of problems. So the master told me to lie down and he started to work on my ankle for a few minutes. Then he adjusted my ankle with a cracking sound like when a chiropractor adjusts your back. Cost: nothing. After the treatment he lit a cigarette and we talked for a while. I had a hard time reconciling his great talent, his intuitive powers, and his smoking. After I ran into several such challenges with Thai massage teachers, I decided that I needed to change my expectations. After all there is no point in expecting that life should be one way when in fact it is not so. …Like a perfect match sexually, a perfect communicator, dance partner, sports partner, intellectual companion, emotionally stable and supportive, a great cook, gardener or handyman. What an incredible burden for a partner to live up to such an idealistic image! Of course nobody can fill such a role, and having such expectations is the fastest road to a failed relationship. I had to learn my lessons in this arena, and it helped me with my less-than-perfect Thai Massage teachers. Many students put teachers up on a pedestal and turn them into a guru. I have seen this both in the Thai Massage scene here in Thailand and also in the yoga community. The students expect them to conform to their idea of the ideal teacher. Certainly there are some healers and teachers who are really balanced in all areas of life, but they are a minority. Later on in my career, when I had reached the point where I had become the teacher whom others looked up to, something funny happened to me. I was teaching a Thai Massage class to a group of students, and I heard through the grapevine that one of them was shocked to see me eating a pizza. I guess her idealized version of me was as someone who eats only a raw food vegetarian diet with wheat grass juice for snacks. Pizza didn’t measure up to this ultra clean profile which she had projected onto me. Great talent in one area of life does not necessarily transform one into a saint. It is possible to produce the most exquisite music and have a totally erratic personality. Ask Mozart. Not that I am advocating this, but it is possible to be an inspiration to the world and have a totally messed up personal life. Ask Marilyn Monroe and many other famous personalities. And it is possible to be a great Thai Massage teacher and healer and be addicted to nicotine. It is best to not put teachers on a pedestal and worship them as a guru. Better accept their talents and gifts without expecting them to be saints across the board. It does not help teachers to be adored and idealized. It only makes it much harder for them to keep their egos in check. 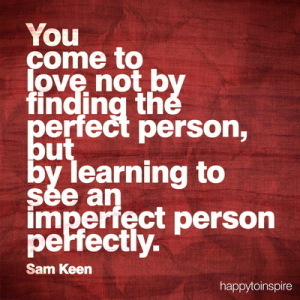 Humans are full of imperfections, and these are our learning and growth opportunities. Some people have great talents, like in the case of Thai Massage in my experiences as a new student, but a great skill in one area does not translate into human perfection and neither should we expect it to do so. The author, Shama Kern, has been living in Thailand for over a decade. He is the founder and director of Thai Healing Massage Academy. 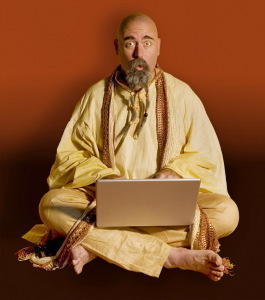 and the creator of 20 Thai Massage online training courses. I really like your post about Thai massage teachers. I am wondering who your teacher was, and if you had any one in particular whom you liked. I would appreciate hearing your feedback as I am currently preparing to go to Thailand and recieve training. the smoking teacher that I am talking about is Pichet. I have studied with a number of teachers, but he is the one I learned most from. However his teaching style is quite unorthodox, and he is not a good choice if you are starting out with Thai Massage. I don’t know if you did study Thai Massage already. If not, you should really have a basic foundation before you study with him, otherwise he is difficult to follow. If you need more detailed information please feel free to write and I will be glad to help.